Did you make all the recipes in your LCHF recipe book? 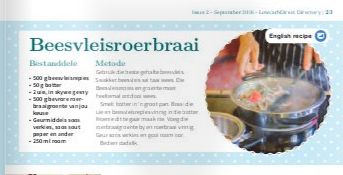 The recipes that is published in this book, are the recipes that I make in my own home every day. It is the recipes that I started to make when I changed to a LCHF lifestyle. I made it over and over again, changed it, and tested it again. Some of my friends tested it as well. It works like this: Most recipes are my own, totally my own, recipes that I cooked for many years. 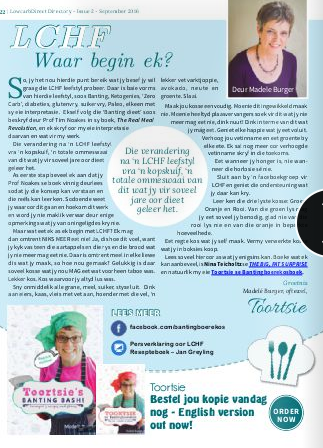 Some of my recipes had to be changed a bit to make it LCHF friendly. Sometimes I changed it, and then I even had to make more changes and more, and sometimes I had to start over again! Then, suddenly I have something that works, is easy to make and is delicious! 🙂 I then type it in the file and print it. The printed copy is tried once again and even more. When I had all the recipes ready for the book, I once more printed it and used the print as my ‘cook book’, tested every single recipe and changed it again if it was necessary. Then it was time to take the pictures, so everything was cooked once again! 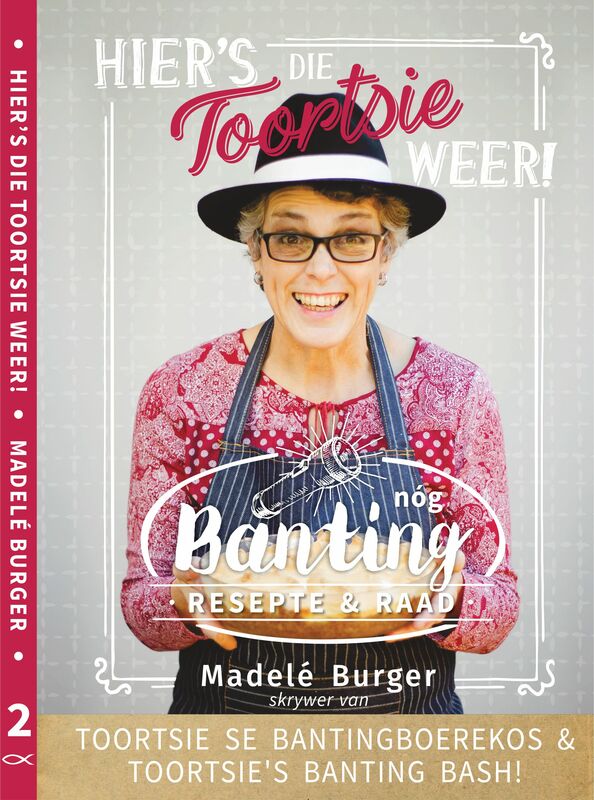 After the book was printed, the Afrikaans book, Toortsie se Bantingboerekosboek, I took one copy for myself which I use every single day of my life. 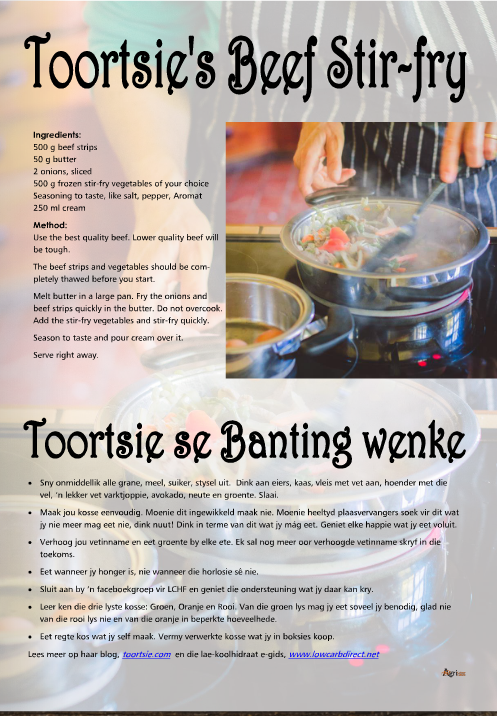 Toortsie se Bantingboerekosboek is the recipe book that I use in my own kitchen as well! Every recipe in this book is easy to make and tasty. It is the ideal book for every home and every person in the family can eat the food, Banters and Non-Banters. The Afrikaans book, Toortsie se Bantingboerekos, was translated by Marius Swart, translator at the University of Stellenbosch, he did a wonderful job!